1/4" - 1/2" inserts and Accessory Cap. 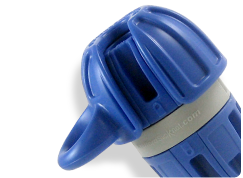 Package of one, blue Accessory Cap only. 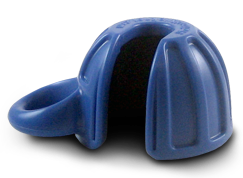 Package of three, blue SlipKnots with a rope diameter fitting of 3/8" inch. Package of three, blue SlipKnots with a rope diameter fitting of 7/16" inch. 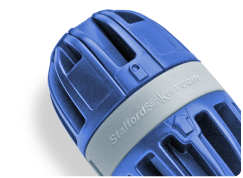 Package of three, blue SlipKnots with a rope diameter fitting of 1/2" inch. Package of three, yellow SlipKnots with a rope diameter fitting of 3/8" inch. Package of three, yellow SlipKnots with a rope diameter fitting of 7/16" inch. 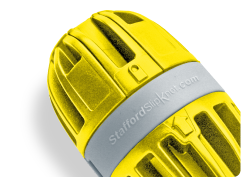 Package of three, yellow SlipKnots with a rope diameter fitting of 1/2" inch. Package of three, orange SlipKnots with a rope diameter fitting of 3/8" inch. Package of three, orange SlipKnots with a rope diameter fitting of 7/16" inch. Package of three, orange SlipKnots with a rope diameter fitting of 1/2" inch. Package of three, blue SlipKnots containing all three rope diameter fittings.